FOUND BLOG Just In Found x Liz Tregaskis Tea Towel! Found x Liz Tregaskis Tea Towel! Why do we love our recipe tea towels so much? Quite simply because they combine our favourite things – design, family and friends and food. We found Liz who’d already shared an interest in food illustration but to top it off she has a neat hand in calligraphy. 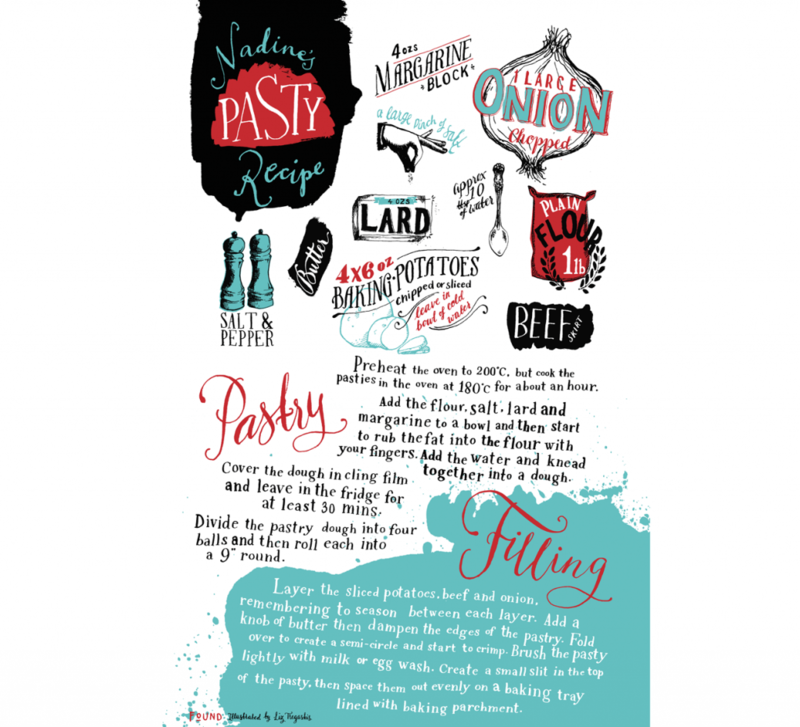 We’re Cornish so in line with the cold as hell weather we thought this lovely design for my family’s pasty recipe would also be a joy to make. Ketchup is optional as are baked beans (something we spotted on Diners, Drive-ins and Dives). Liz’s beautiful drawing is printed on 100% linen union making it the perfect thing to clean your glasses with too. Well, it would be rude not to swig a little Polgoon cider on the side. Talking of drinks, if you live in Bath or are thinking of visiting our fair city, make it your mission to hit up our awesome selection of indie drinks specialists including Charlie Crown and Independent Spirit. Handsome.